Quality workmanship with innovative products. Allow light in while keeping harmful UV out. Sunlight can create excessive heat and uncomfortable hot spots, fades valuable furnishings, creates computer screen glare and contains harmful UV rays. 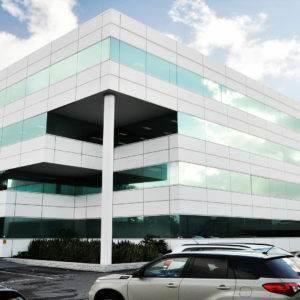 Solar Control Window Films help you to control energy costs, reduce sun damage and provide you with a more comfortable environment. Blocks up to 99% of UV rays, shielding your interior from solar heat and providing the ultimate defence against premature fading. Reduces glare up to 91% so you can enjoy the views outside and reduces the glare coming in so you can watch TV or work on a computer without the need to close the blinds. Affordable, effective safety & security film. 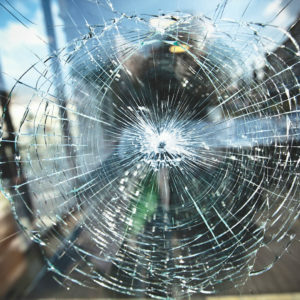 To help reduce your chances of loss and add to your peace of mind you need Safety & Security Film – An invisible barrier applied to your existing windows that provide a non-obtrusive deterrent. Inhibits quick entry through windows and glass doors. 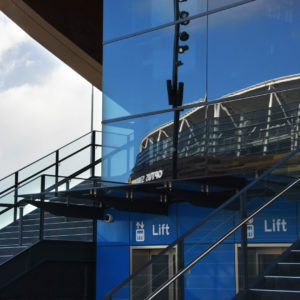 In severe weather events and accidents – helps hold glass panes in place to minimise flying glass due to violent weather or accidental breakage. Enjoy a smarter space. Enhance existing window insulation. Climate Control Window Film is much less expensive than installing double-glazing and the year-round results rival or match the performance and appearance of new glass. Invisible insulation technology helps retain the heat keeping you warmer in winter and solar reflecting technology helps block the sun’s heat and UV rays keeping you cooler in summer. Upgrade your existing windows to be more energy efficient by improving the insulation value. Designer solutions for both interior & exterior. We have a range of decorative films that can be used to enhance the appeal of rooms, provide privacy and create an environment that is conducive to improving productivity. Need a design? We have an in-house design team that can help you customise your space. Prevent scratching and easily remove graffiti from glass. Anti-Graffiti Film is a tough, clear scratch resistant film. 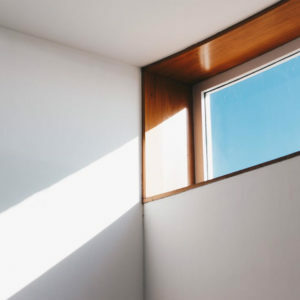 It has been designed specifically to protect windows from scratching with sharp objects and to provide a cost effective method for removal of paint sprayed onto windows. A simple solution to returning glass to “as new” condition without the costly expense of replacing the entire panel. Watch this video and see what 3M Safety & Security Film can do for your business. 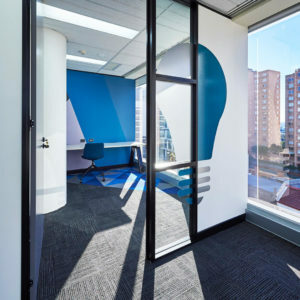 We create head-turning results with inspiring and innovative printing, signage and window film solutions. A fun way to bring your logo to life. Your entrance won’t be missed. Create privacy with a creative solution. Design a playful space with unique graphics. Let your customers know the way. Let us help you bring your project to life. Contact us for a free quote.